Few things can be as frustrating to a gardener as having the local wildlife decide to snack on lovingly-tended plants. The deer of Pennsylvania, specifically, are particularly well-known for paying visits to home gardens. The best way of discouraging them is to find plants that will bring color and fragrance to your Keystone State garden, but aren't on the deer's menu of favorite foods. Garden phlox (Phlox paniculata) blooms between June and August in Pennsylvania's open meadows and along wet roadsides. This native perennial has been the source of many horticultural cultivars. Reaching 4 feet high, fall phlox has long stems bearing sweetly fragrant, 4-to-8-inch, pyramid-shaped clusters of pink or lavender blooms above long, narrow green leaves. Cultivated varieties are available in a much wider range of colors. 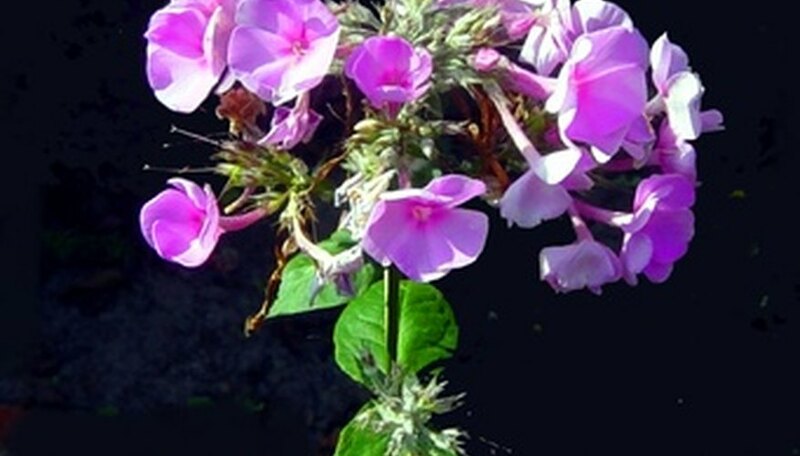 The Lady Bird Johnson Wildflower Center recommends planting fall phlox in full sun and moist, organically rich loam. The Penn State Monroe County Cooperative Extension lists it as a good plant for butterfly gardens. Indigo bush (Amorpha fruticosa) has a "high-deer-resistant" rating from the Lady Bird Johnson Wildflower Center. This 6-to-10-foot, deciduous, aromatic shrub grows wild along Pennsylvania's roadsides, ponds and streams. Indigo bush blooms from April to June. The ends of its leggy branches produce dense, 3-to-6-inch spikes of fragrant single-petaled blue or purple flowers with attractively contrasting yellow stamens. Plant false indigo in sun to part shade and moist soil. It tolerates a wide spectrum of soil pH levels and types from sand to clay. The fragrant flowers will draw butterflies, so it's another good choice for butterfly gardens. Its love of moisture makes it a good plant for water gardens as well. Red elderberry (Sambucus racemosa), with a "rarely damaged" deer resistant rating from the Rutgers New Jersey Agriculture Experiment Station, is a 10-to-12-foot, deciduous, round shrub. Older plants have arching branches. This rapidly growing shrub is native to Pennsylvania's ravines, cliffs and woods. Its May and June spikes of small white flowers give way to clusters of small, bright red berries. Both birds and small mammals feed on the berries. Although the raw fruit is unpalatable, it makes a tasty wine (and with sweeteners, good preserves). All parts of the plant except the ripe berries are toxic if ingested. Plant red elderberry in a shady spot with moist, slightly acidic or alkaline rocky soil.